It all started so randomly and it has resulted in clearly what is one of the best conversations you will read on Twitter today, if not the year! 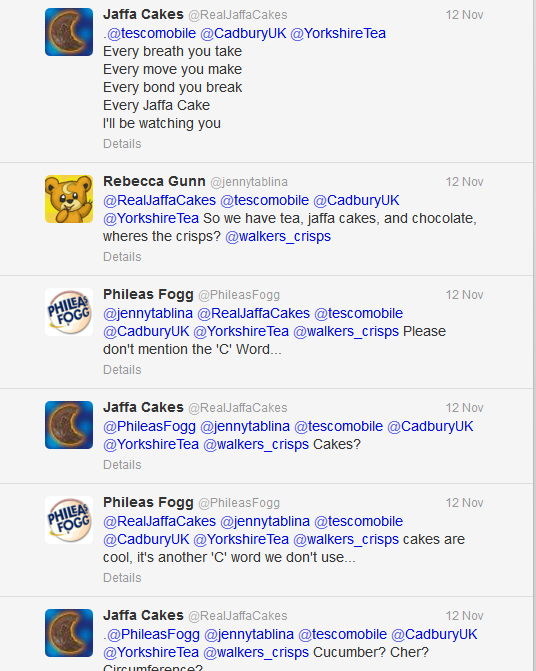 With a seemingly odd tweet to @tescomobile from a customer, Tescomobile clearly picked up the ball and ran with it, with incredibly amusing results, a few diversions and the inclusion of @RealJaffaCakes and @YorkshireTea. See how it stated below and to continue reading the ongoing conversation see here. 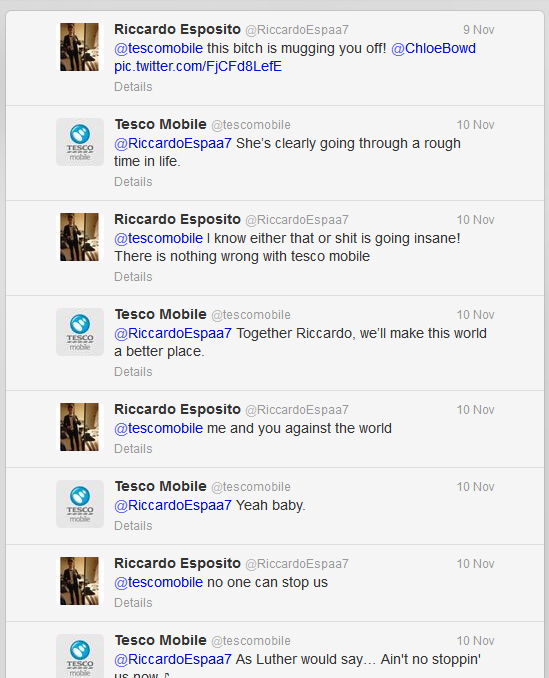 Tescomobile are definitely the real winners in this case of social media going viral.